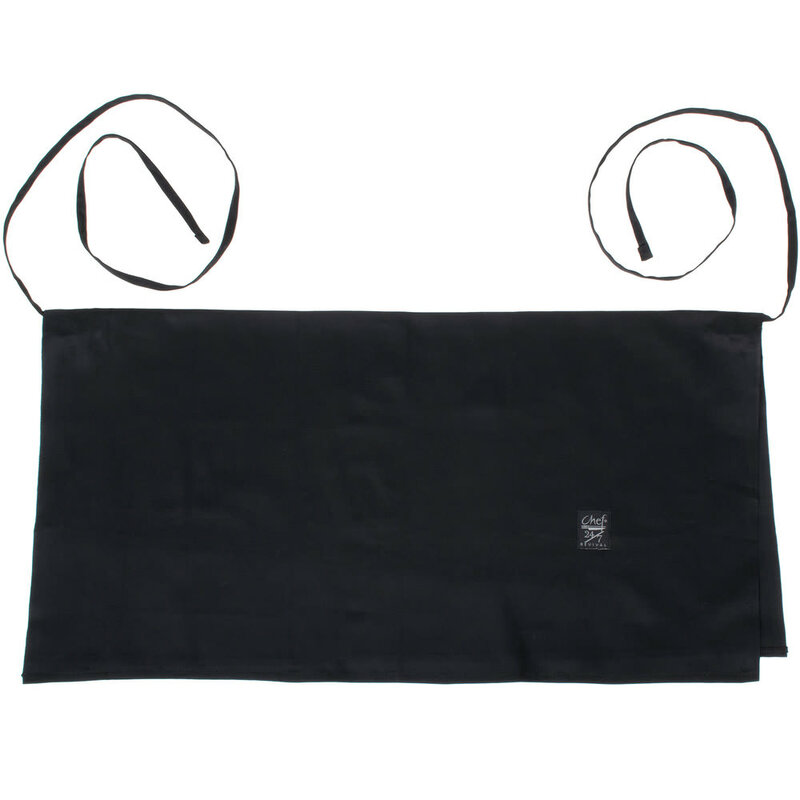 The Chef Revival 604FW-BK waist apron has a four-sided construction, allowing staff members to reverse and flip the apron to four sides to maintain a professional look. Durability and comfort are added to the apron thanks to the poly/cotton construction. A simple, flat design is provided since there are no pockets. The apron secures around the waist with two 45-inch ties. Measuring 34 inches wide by 17 inches tall, the Chef Revival 604FW-BK waist apron is a one size fits most. Since the apron is black, most stains are hidden well.